Matthew and Kate’s live show developed organically as a result of the pair’s relationship to music as well as each other. Although Kate is relatively new to the scene, gaining interest in electronic music more recently – Matthew has been experimenting with production and playing out for over 10 years now. While in the early days it was Matthew tinkering away on the equipment – more focused on the technical side of things – Kate increasingly gained interest in the process. As she began to put forward her ideas on the melody and overall feel and flow of the music, an obvious production team was formed. Since starting their collaboration, they have collected various hardware synths, instruments and effects which allows their sound to continue to be diverse and evolve over time. The pair currently produce nearly all music together, rather than Matthew separately. Their work flow involves lots of improvisation, with Kate playing melodies and stabs on the synths and Matthew in control of the groove but their roles are often reversed. They also both jam on a drum machine and outboard effects. All these elements combined create their unique trippy sound – raw but packed full of soul. 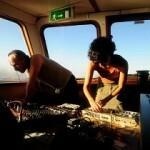 Their live act is always developing – ranging from stripped-back house to techno and bass beats. Early in 2011, Resident Advisor promoted one of the live sets on their podcast feature, receiving great feedback all round for the fresh and unusual vibe their music was expressing. The pair are working with Jay Shepheard’s Retrofit label, where they have had two releases so far. Their Flip Side EP was also an interesting addition to the Visionquest label catalogue in 2012, following another EP for Organic Art Movement – The Camp Pirate, in 2011. 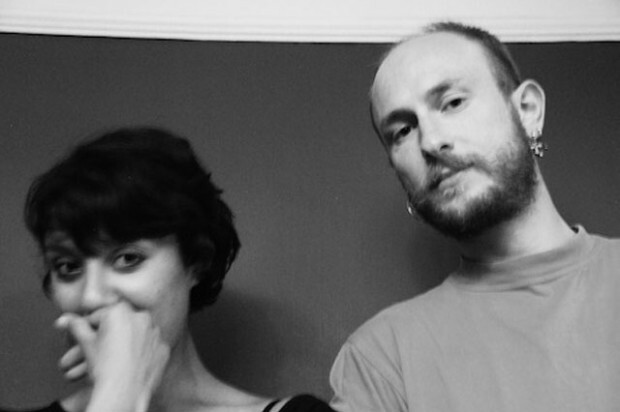 Matthew and Kate also have a new EP coming out very shortly on Connect Four Records and another on Back To You Records, and a slow organic little number that will be come out on a various artists release on Audiofly’s label SuperNature. As well as their current label relationships, Matthew and Kate launched their own imprint – SHIFTED FLOW. The label is conceived as an outlet for their more experimental and heart-felt productions, to be presented on limited vinyl and often involving collaborations with long-term friends Nick Lawson, BLM or other artists that may cross their path in the future. Also look out for their debut album which will feature various styles of ambient, electronic and downtempo bass music which they will release on Shifted Flow in July 2013. With plenty more tracks in the pipeline, and an ever-changing live set reflecting various threads of electronica seamlessly blended into a dancefloor trip to remember – stay tuned for more unusual sounds from this original duo.